This is one of my favorite books of all time. 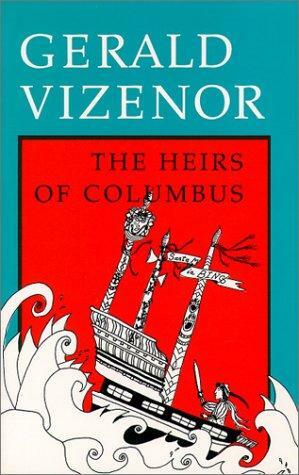 I’ll admit that I see Vizenor doing something very similar to what Ishmael Reed is doing in Mumbo Jumbo, but I already wrote about that when I read that book (so check out that review if you’re curious). In any case, I am really interested by what Vizenor is doing with regards to technology (specifically genetic engineering) in this novel. He’s got all these ideas about stories in the blood — something akin to racial memory, as he says — and the healing power of survivance that can be passed on through this genetic signature the heirs of Columbus carry in their blood. Just as Howe’s character Ezol explains her theories on Choctaw language and time travel (and the scientific nature of her claims becomes obvious), so Vizenor’s characters are well-versed in scientific theories and processes and eventually use them to reclaim control over their blood. Since blood quantum legislation has had such a profound effect on Native Americans, Vizenor’s method of subverting those laws is really interesting and not only contradicts stereotypes about the incompatibility of Native American culture and Western scientific knowledge, but also creates a loophole with regards to blood quantum.